Given the vacuum, I figure this is as good a time as any to turn a bit whimsical and commence the all-new PRAB Dumbest Restaurant Customer of the Year Award for 2010. I know what you are thinking. There are four months to go and a lot of dumb people out there! Trust me, our initial DRCYA winner cannot be beat! And so, I am proud to name as winner, none other than shabbily dressed, 43-year-old Baltimore, Maryland denizen, Andrew Palmer (in photo). Mr. Palmer, you see, is well known among restaurateurs--not only in Baltimore, but all along the US east coast--as the kind of guy who happily orders, merrily eats and drinks, and at meal's end, falls to the floor feigning a seizure to avoid paying the bill. Pretty neat scam, huh? Well, not for Mr. Palmer, for whom this scam never seems to work. In more cases than not, he is rushed to the hospital emergency room and then to a 90-day free vacation in a jail cell. The authorities have finally noticed a pattern, and his last arrest led to a conviction based on a consolidation of his last six convictions. This time, his sentence is 18 months in jail. You can read the full story here. Maybe Mr. Palmer will become an Internet folk hero, like the JetBlue flight attendant Steve Slater who lost it and abandoned his post (and in so doing, chucked his job) after some passengers got a little unruly, or he started a fight, or whatever the case ultimately proves to be. But I am afraid our DRCYA recipient won't be so lucky. It's okay to be dumb to become an Internet sensation, but not this dumb. You really have to wonder if our charter award winner has more personal problems than just being dumb. 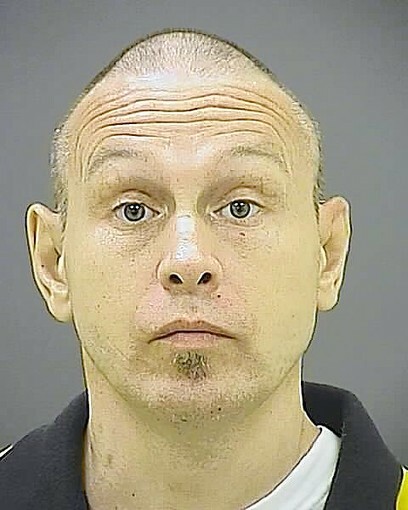 One arrest followed a (free) meal of chicken wings and beers at Baltimore's Burke's Cafe. I can tell you, that meal would in no way justify eating prison grub for the following 90 days. I liked Burke's when I was a college student in Baltimore, but when I went back as a grownup, I realized that either my tastes had grown much more sophisticated or Burke's standards had dramatically declined. Probably a combination of the two. But that is neither here nor there. Nothing makes sense about a criminal who continues to perpetrate a non-profitable crime that inevitably lands the perpetrator in the slammer. Unless he really likes prison food. And if that is the case, maybe our dumbest restaurant customer of the year isn't so dumb after all. The prison cafeteria never closes.